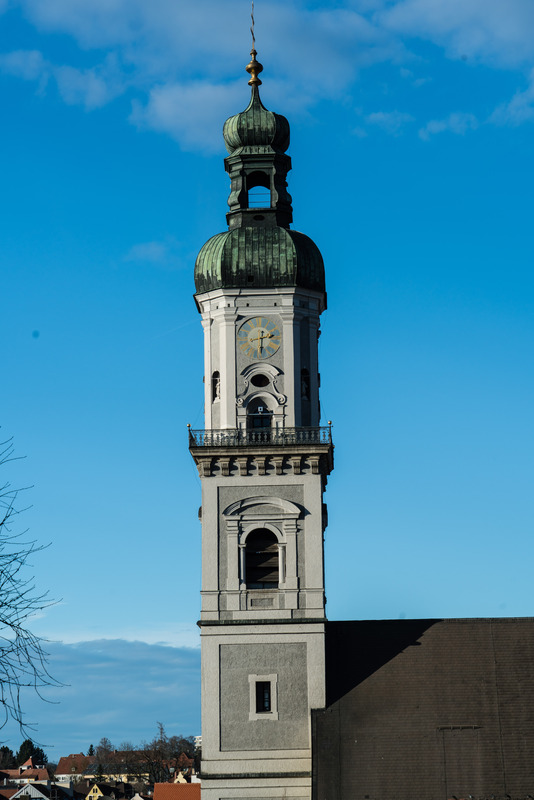 Freising is a town of about 50,000 situated around some hills along the Isar to the north of Munich. 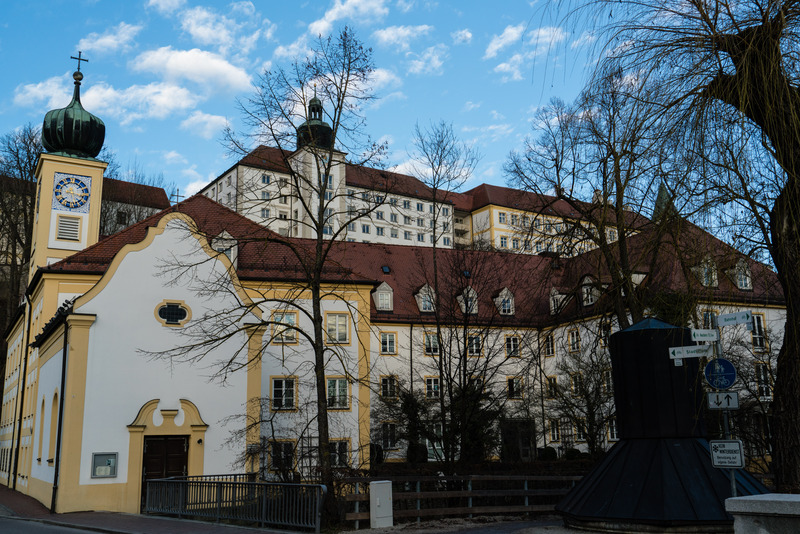 It resembles the similarly-sized Passau (see pictures of town, cathedral, castle) in several aspects: a long settlement history, including major importance as medieval trade centers, a notable cathedral, and a fortified bishop’s seat. 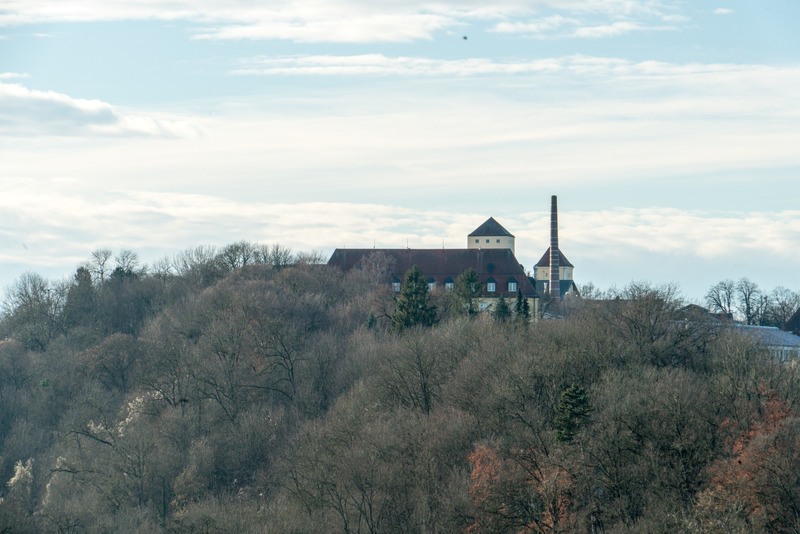 One point where Freising comes off worse is landscape: the flat plains around the Isar cannot compete with the towering wooded valley sides along Danube and Inn. Another is historical, and I’ll devote a short section to that. Skip below to see the galleries. 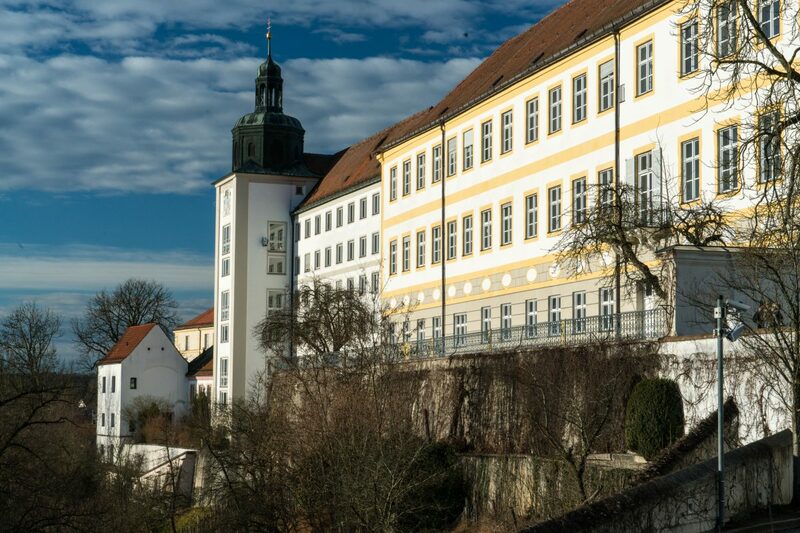 Thanks to a highly strategic location and strong local trades, Passau remained continually wealthy and important from the early middle ages until it became a tourism center in the modern era. 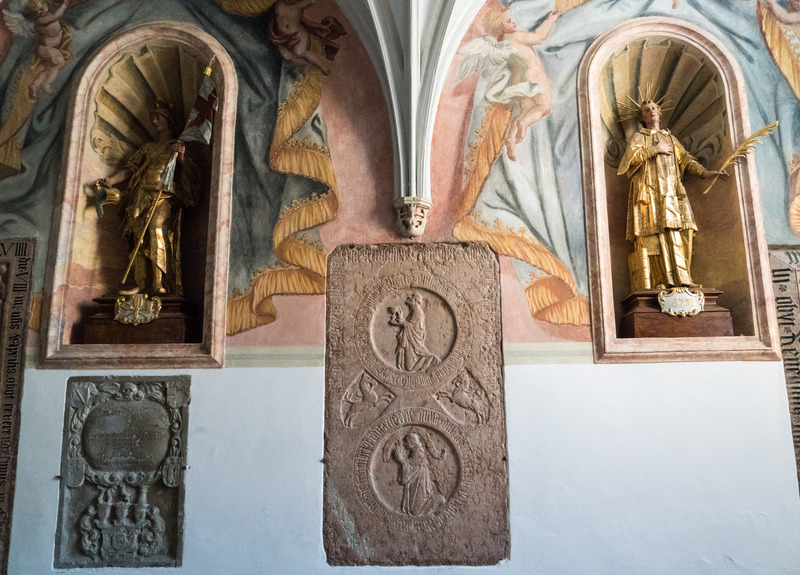 Allowed their own mayor and seal in 1368, the citizens erected an almost comically outsized townhall to snub the prince bishop on the other side of the Danube. 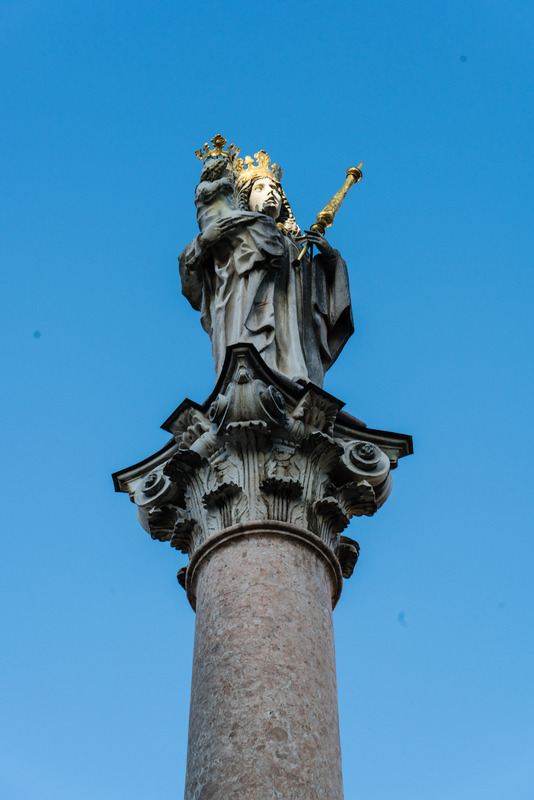 Even after a devastating fire in 1662, the town was quickly rebuilt in baroque style. 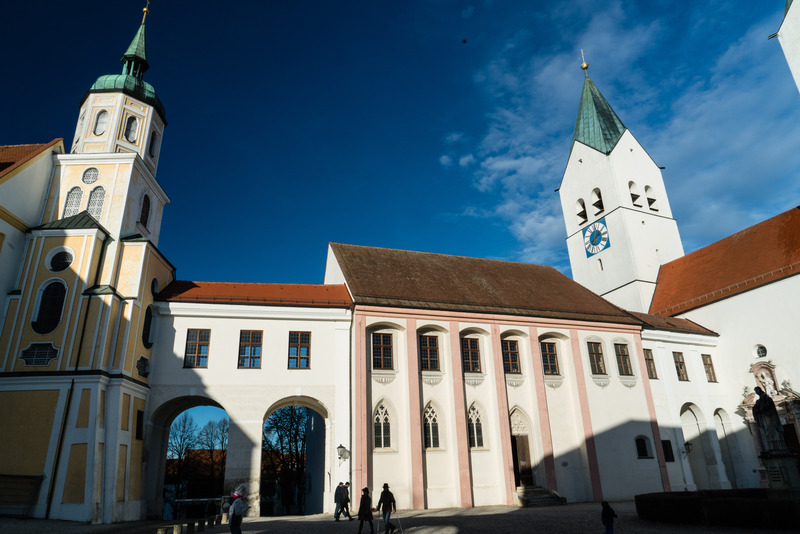 Freising, by contrast, steadily lost its importance after 1158 when Duke Henry the Lion rerouted its profitable salt trade route through his own lands – near the village of Munich, which went on to become the capital city of Bavaria. 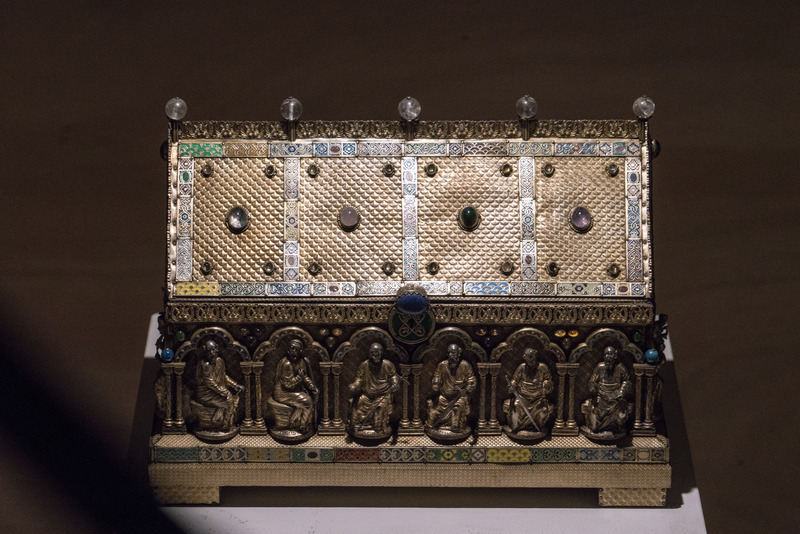 It seems Freising’s economy was subsequently largely based on the church, with no less than seven monasteries working their own land. When that church economy collapsed due to Napoleonic secularization in 1802, so very nearly did the entire town. Freising only recovered during industrialization, essentially becoming a Munich suburb. 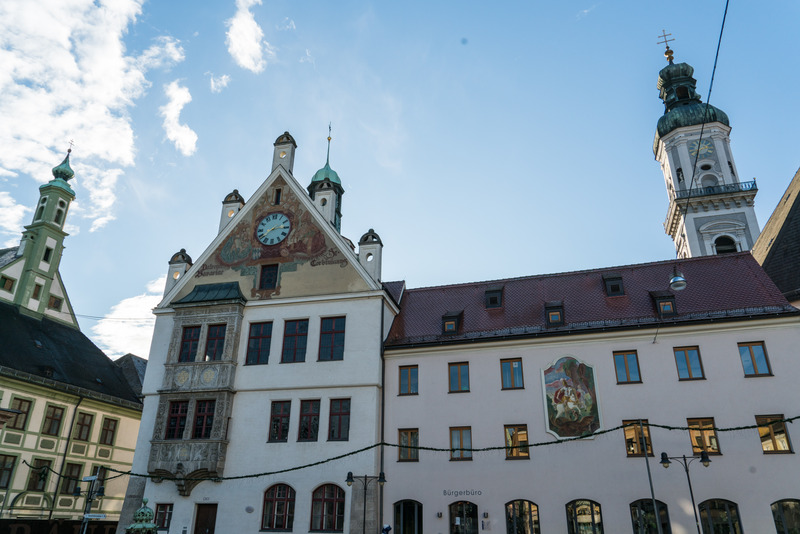 Although my visit was brief, I got the impression that Freising’s historical architecture is a good deal more modest than Passau’s, excepting the cathedral. 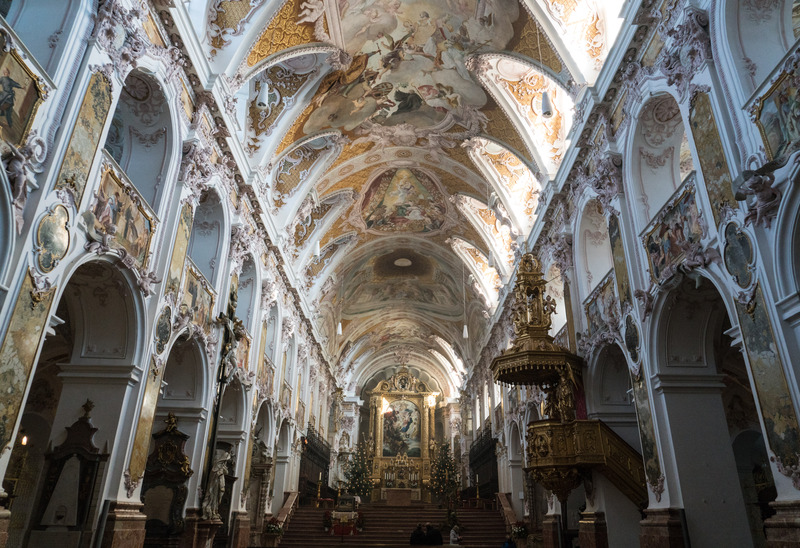 Whereas Passau is breathtaking, Freising is basically your average German town with strong medieval roots, though with a unique religious history. The first gallery shows some pictures from around town. 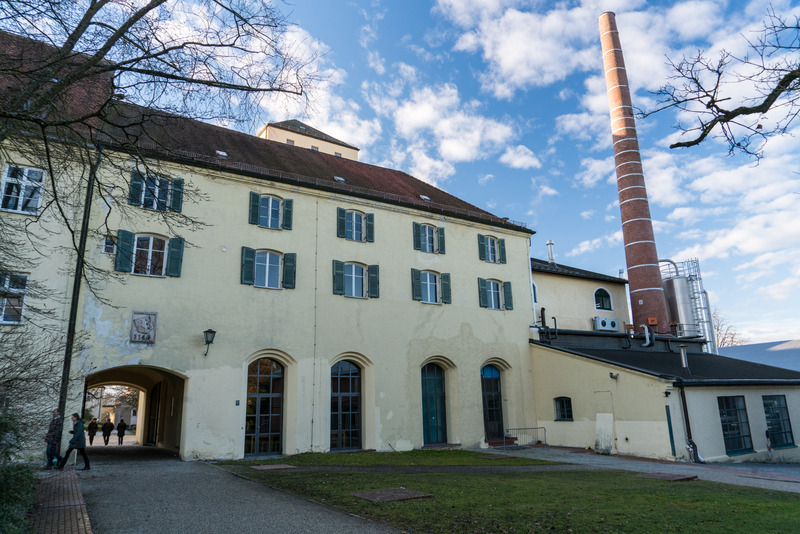 The last two are of the Weihenstephan brewery, the world’s oldest in continued operation. It was founded by Benedictine monks in 1040, although today’s buildings are much more recent. Photography Notes: I took all pictures with a Sony Alpha 7R II and Sony SEL-24240 lens, plus a polarizing filter when outside and post-processing in Adobe Lightroom to correct brightness and saturation. Click on any picture to enter a full-screen view with description and Exif data. The second gallery shows the bishop’s palace on its hill overlooking the city, and the romanesque cathedral at its core (erected 1159–1205). Pope Benedict XVI was ordained there, by the way. The palace is hard to photograph from below as the view is often obscured by buildings or trees. Palace hill, viewed from the railroad station. Palace hill, viewed from a small chapel shortly before the ascent begins. View alongside the palace from one of its entrances. View of the chief courtyard inside the palace, with the cathedral on the right. 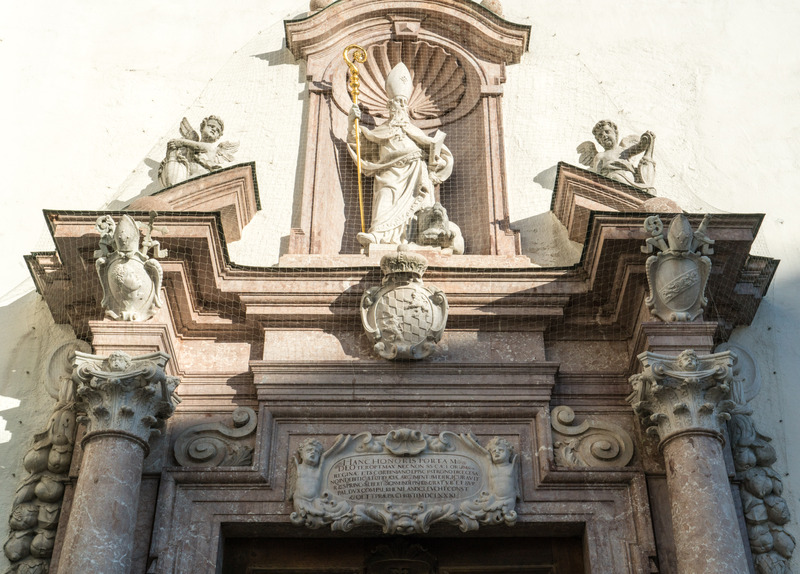 The highly decorated main entrance of the cathedral. View down the nave of the cathedral, from the entrance area. 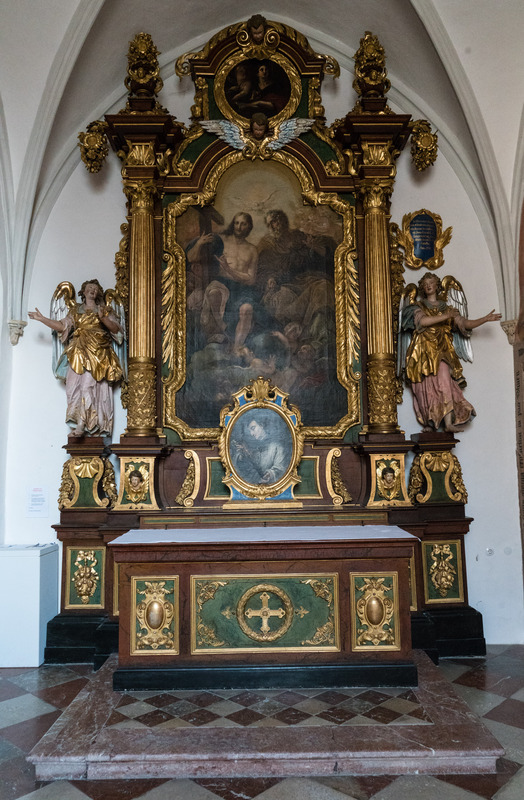 The last gallery shows some details from inside the cathedral, including three richly decorated altars and the shrines of St. Corbinian, who gave Freising its coat of arms, and of St. Nonnosus (I think). Left altar in the entrance chamber. 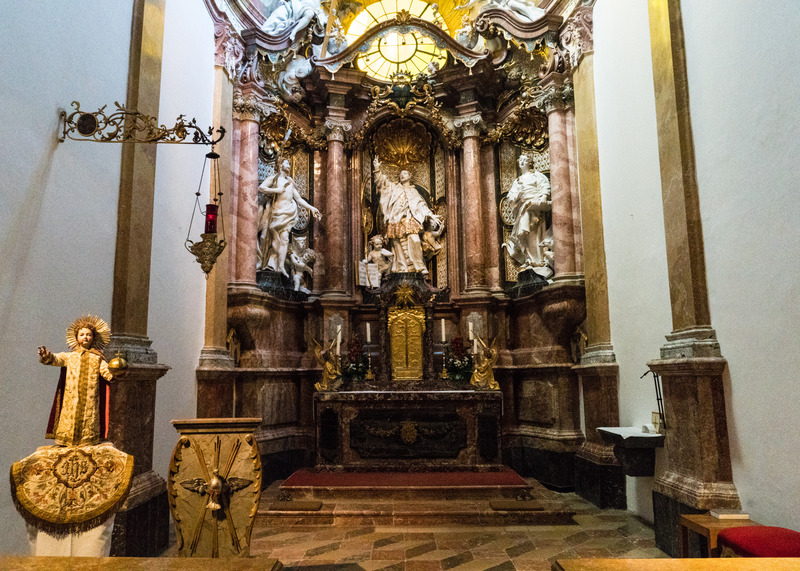 Right altar in the entrance chamber. Mix of medieval and baroque art on the wall of the entrance chamber. 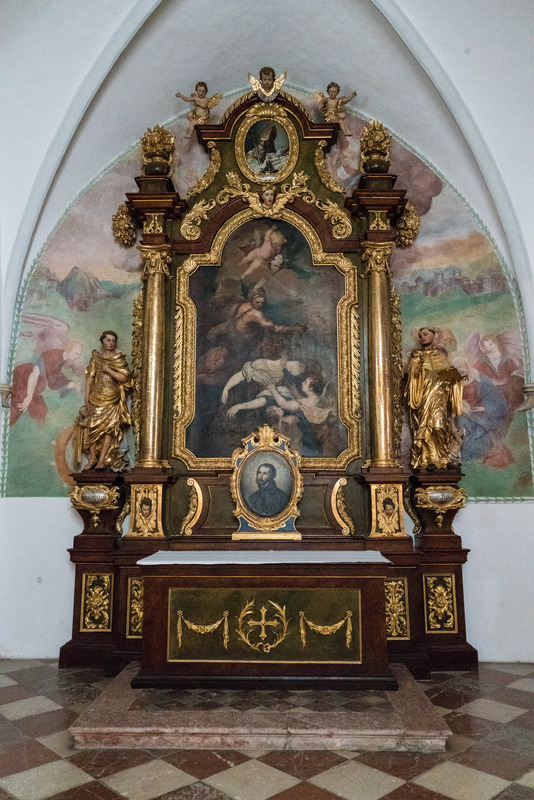 Altar in a separate chapel at the rear right of the cathedral. 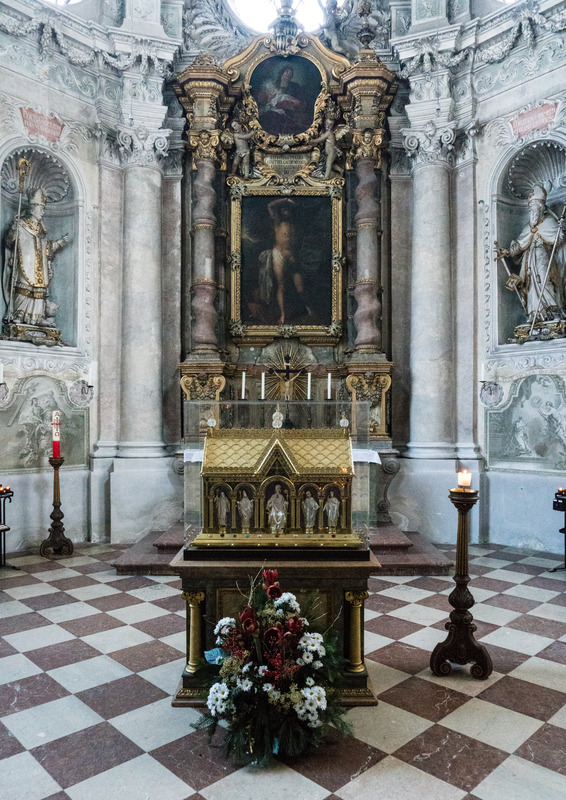 Shrine and altar of St Corbinian. Shrine of St Nonnosus (I think). Nice, but Passau is a better place to sit outside and sip a wheat beer on a warm summer day. My co-worker used to subscribe to the Passauer Neue Presse back in the day. I don’t know what it’s like now, but it was reliably conservative back then. One time they had an article about US football complete with a picture of a baseball player. 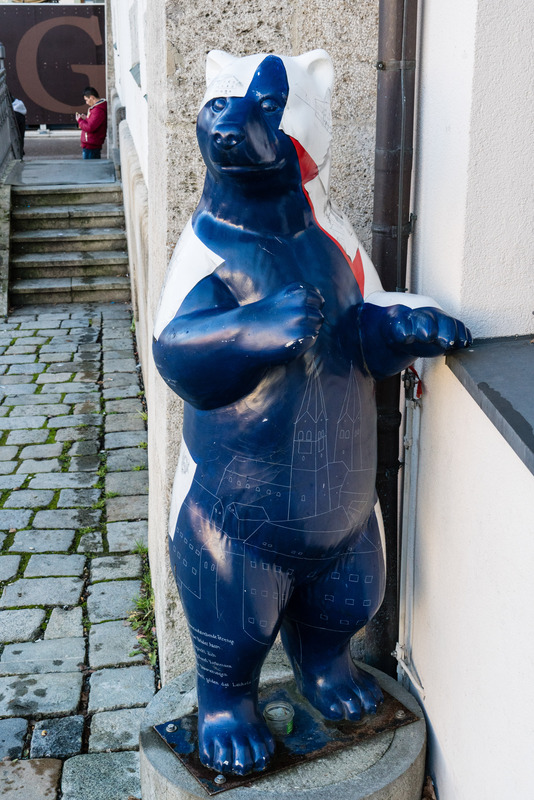 Yes, Passau is for sure a much more picturesque and relaxing place. PNP has drifted left like all media, aided by the influx of leftist students after the university had been expanded. They still don’t dare to be explicitly leftist by German standards and affect a kind of neutral stance, interviewing conservative politicians and printing rightist reader comments. Yes, it’s an international phenomenon. I worked in very conservative Idaho for five years starting in 2011. My coworkers said the same thing had happened to the Idaho Falls Press Register over the years.